Final day of the 9 day fest...!!!!!! Last Day ok Kala Ghoda Art Festival 2010.... A Huge Rush was expected.... People came out in large numbers to watch Art at its best. The real day started off when the crowd heard whistles from the stage... No no... These people were really whistlers from the Indian Whistlers Association. 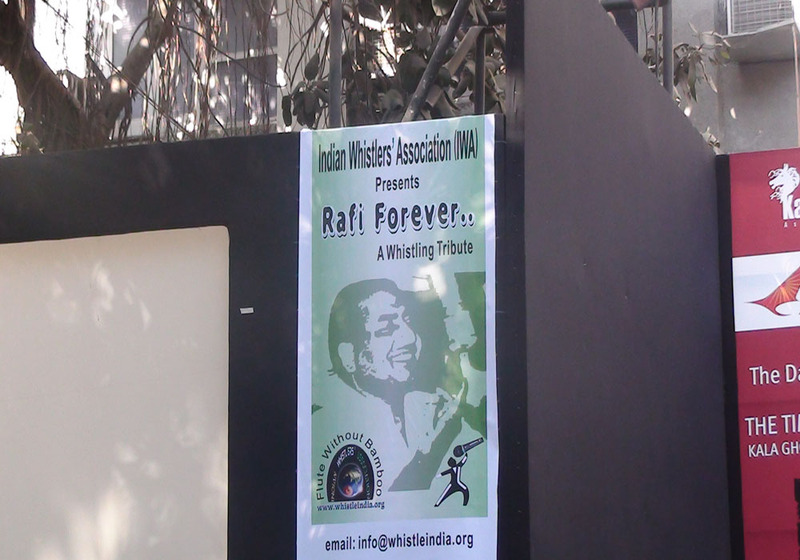 They were on stage to give tribute to one of the finest singers there ever will be Rafi Saab. The crowd were amazed and were whistling with the performers(Atleast trying to). No Eve Teasing case was reported. :P. Just kidding. Later even the crowd got the chance to whistle... Watch their performance on stage on the variety of songs they performed on. Due to some issues... There was a delay of 2 hours at Kala Ghoda and they were suppose to resume with a Bang at the Amphitheatre. Asatic Steps would again be Rocked by the Ghazals, Filmi &Fusion songs by Hariharan. But the crowd puller of the day award would certainly go to Skeleton Group from Delhi. These young guys gave Tribute to MJ. MJ is enough for you to know how the performance might have been. People planted themselves on trees just to watch their performance. We have the video with us which includes their interview too. 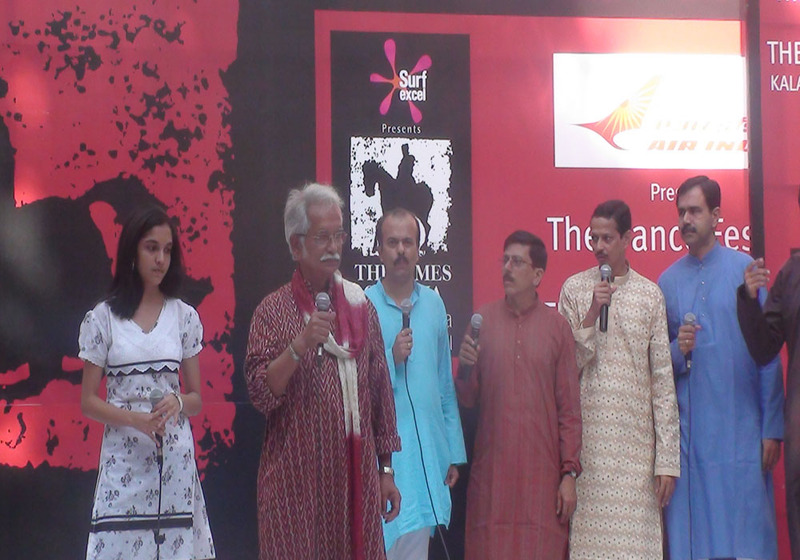 The day would certainly end with some Classic performance by a troupe from Banglore. Nrityagram Dance Esemble did a wonderful form of Odissi. 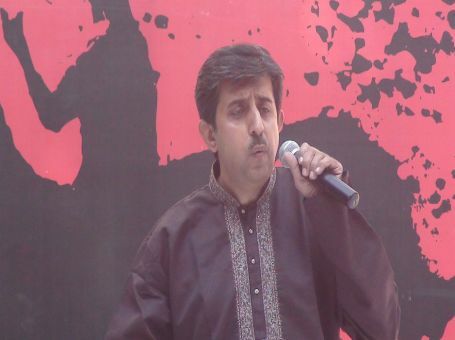 This performance marked the end of Kala Ghoda Festival for 2010. But there is still hope for you guys to catch up with Arts.... But that far off.... Next Year... Be sure to mark your calender for the Things to do in 2011. 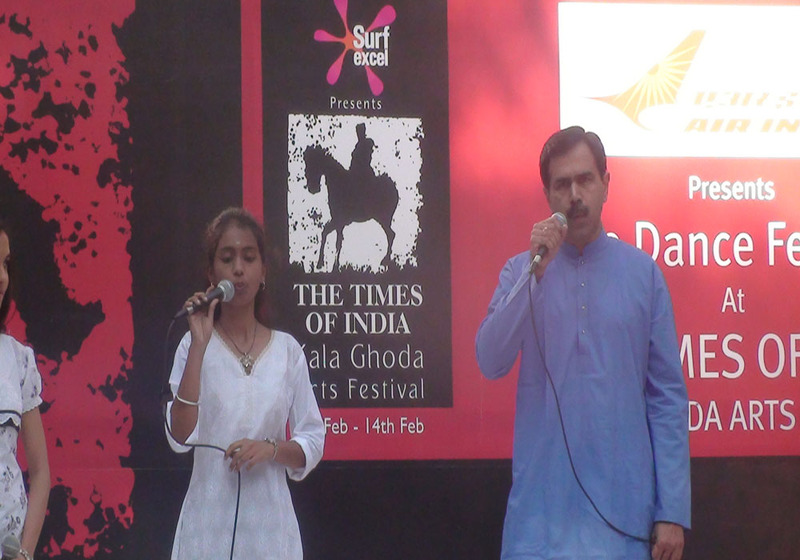 With the first being Attend Kala Ghoda Festival 2011 from 5th Feb-13th Feb. Type the two words:Type what you hear:Incorrect. Try again. How to reach Kala Ghoda ? Copper Chimney in Phoenix Mills that is widely acknowledged for its authentic Popular 'North Indian ..
Bombay Blue being a multi- cuisine restaurant has a vastly diverse menu. .. Lip smacking chinese cuisine will take care of your oriental taste buds. ..
A fine dining restaurant that serves authentic Japanese, Malaysian, Indonesian and Balinese cuisine. ..
A chinese, thai restaurant that serves exquisite cuisine. The ambience is set to elevate your ..
Is Kala Ghoda Festival hyped?